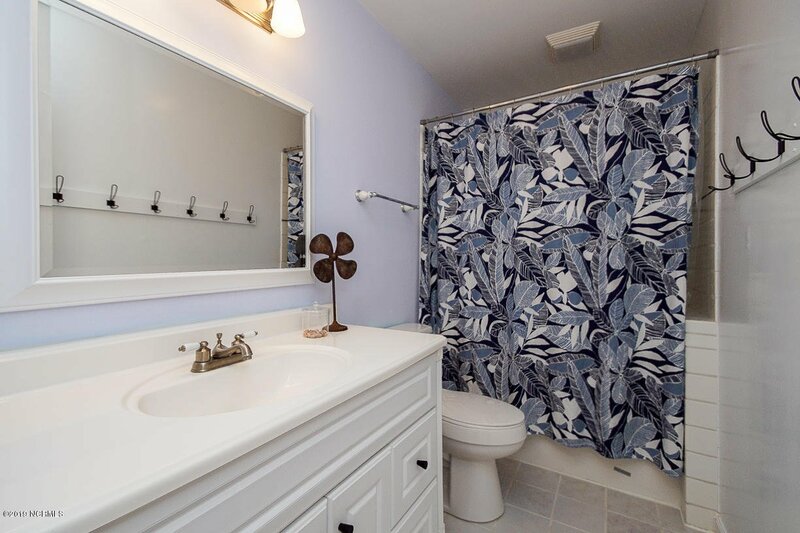 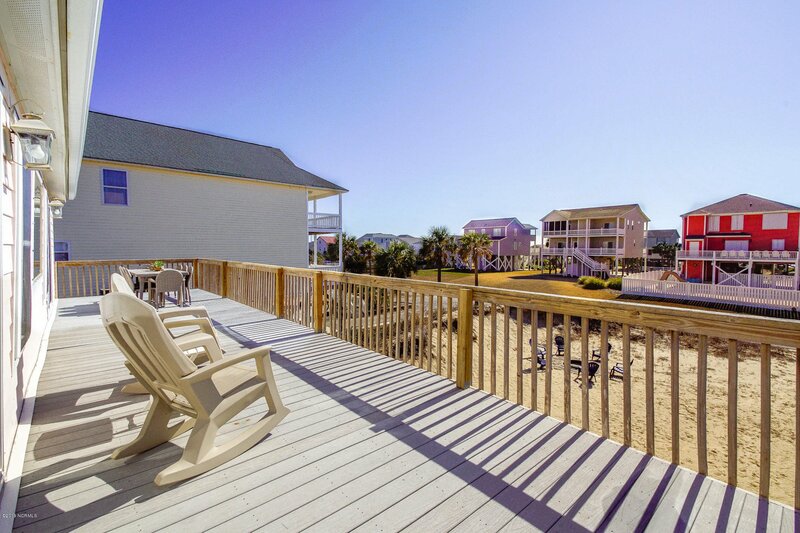 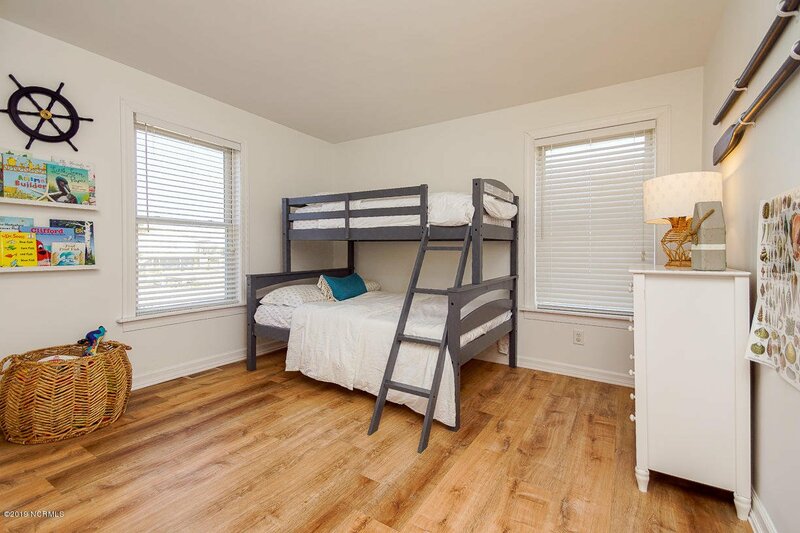 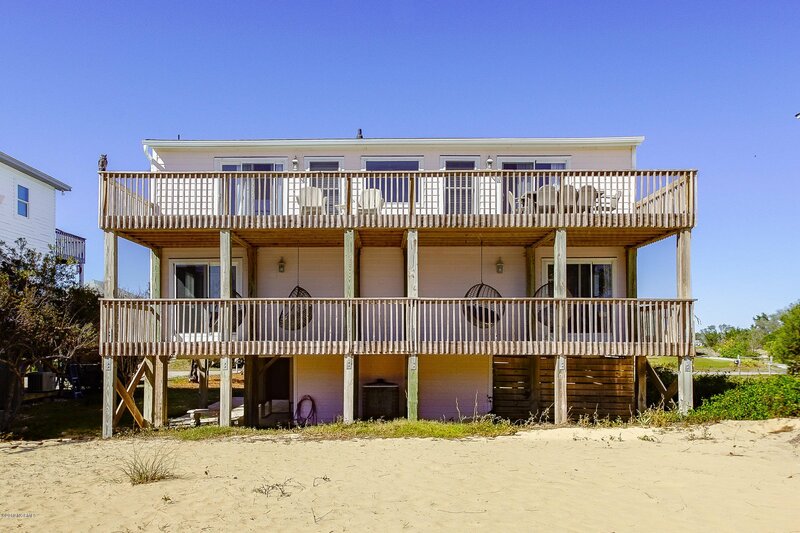 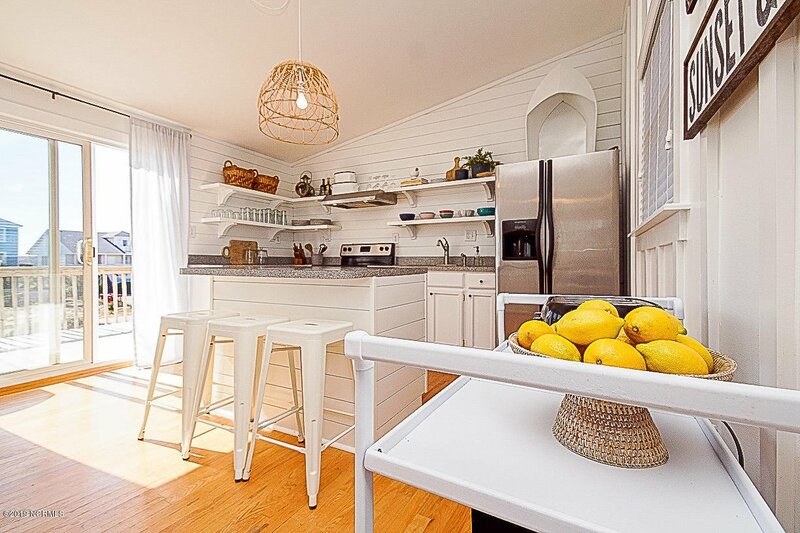 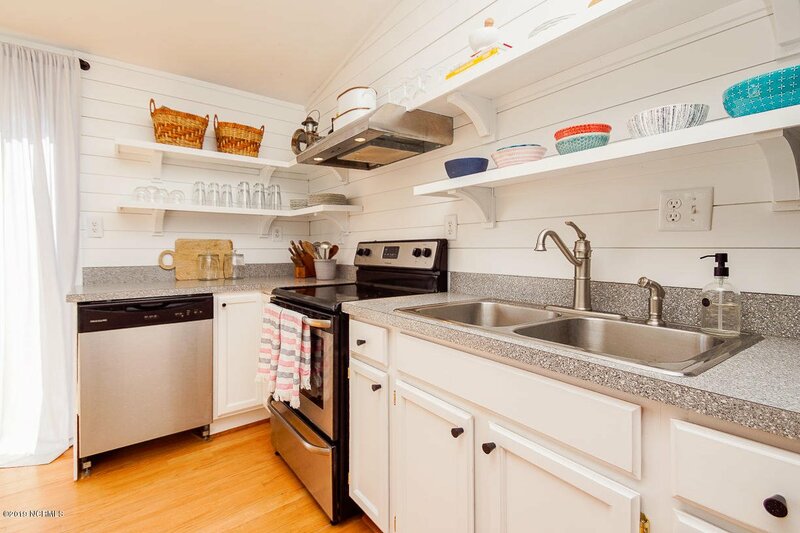 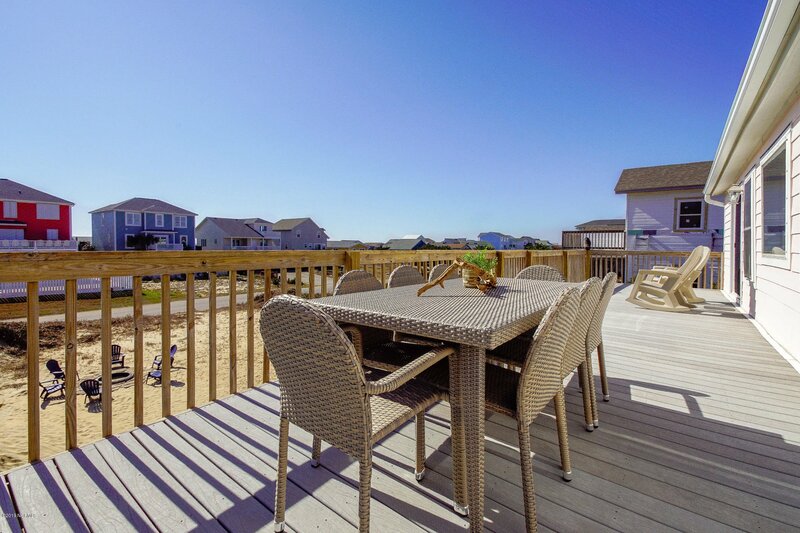 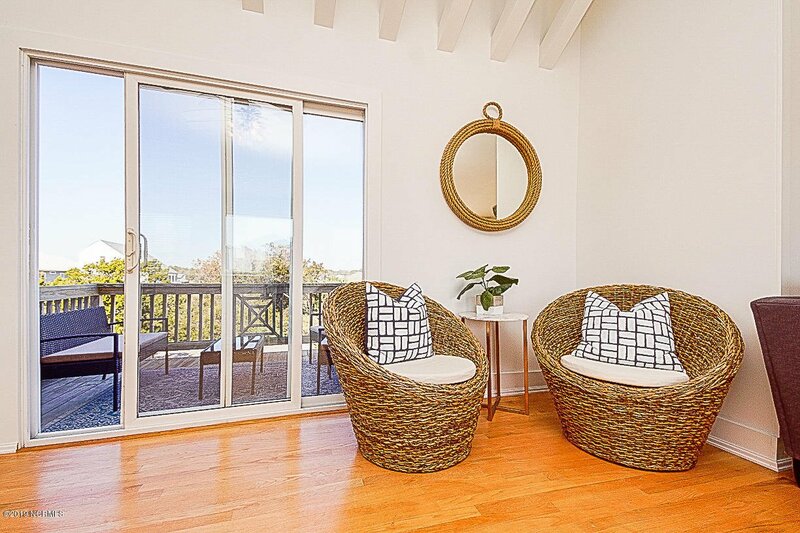 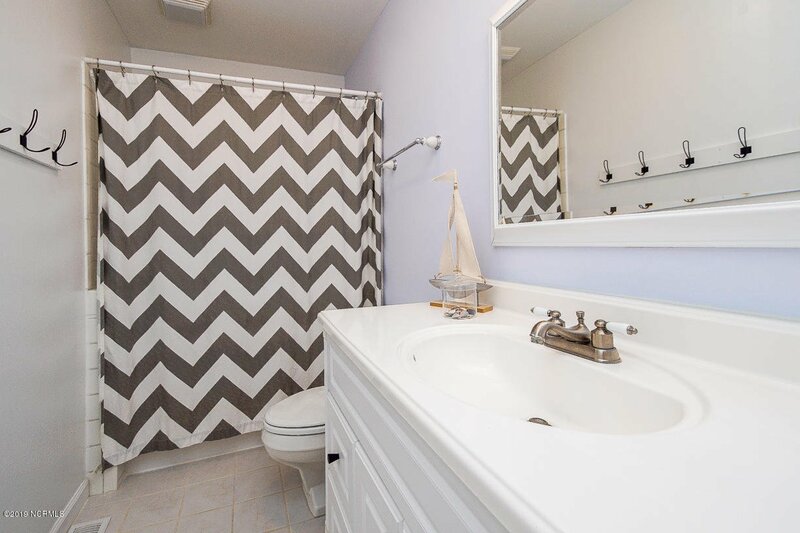 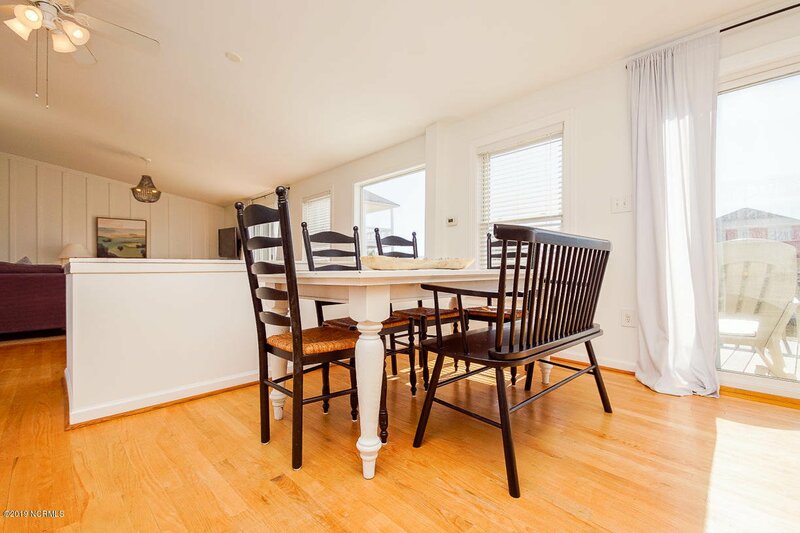 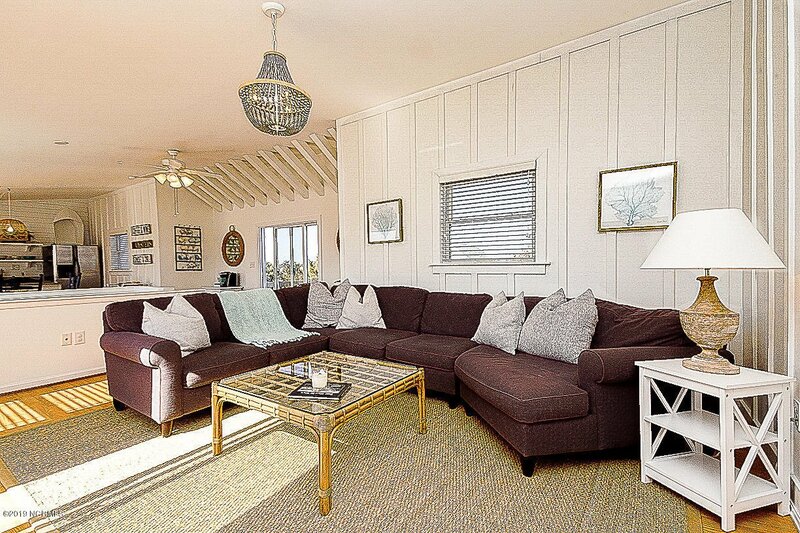 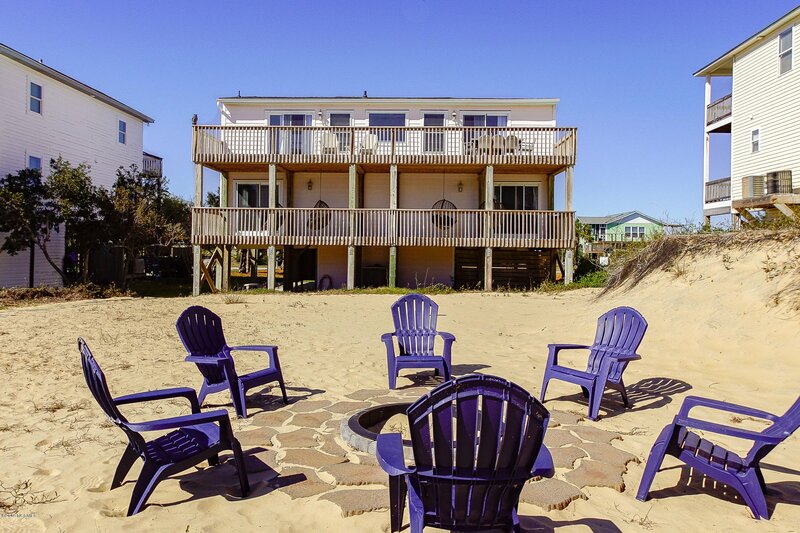 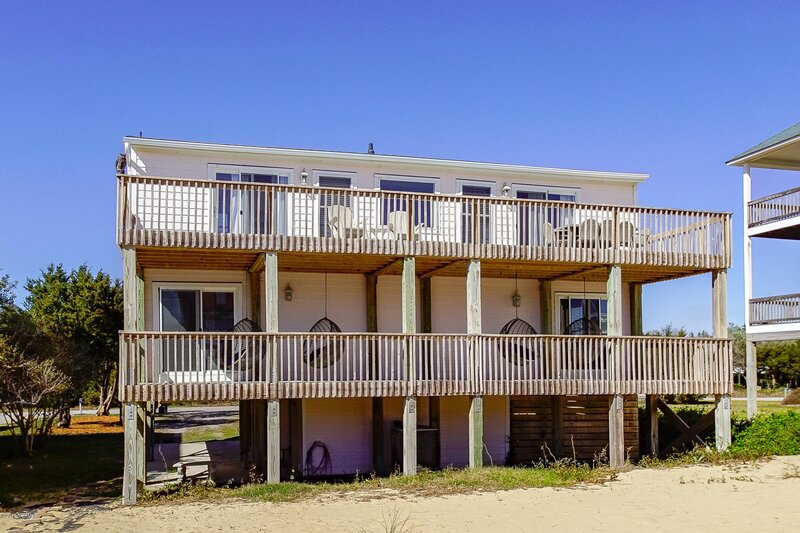 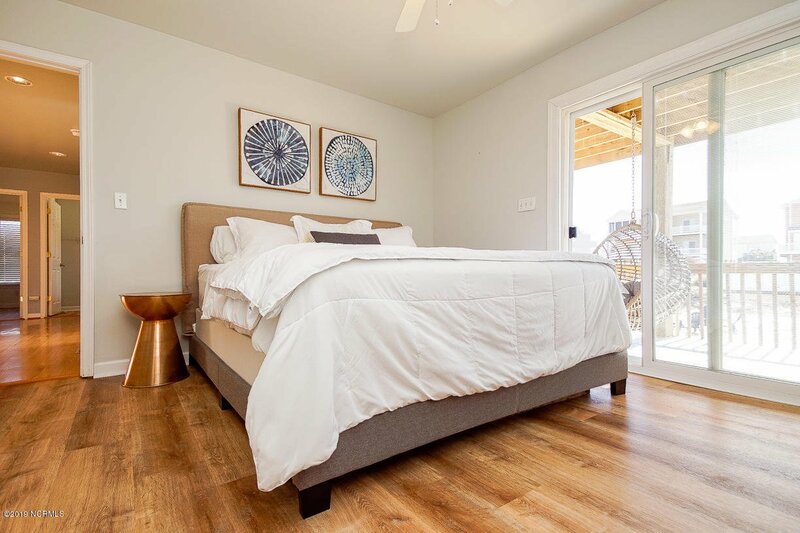 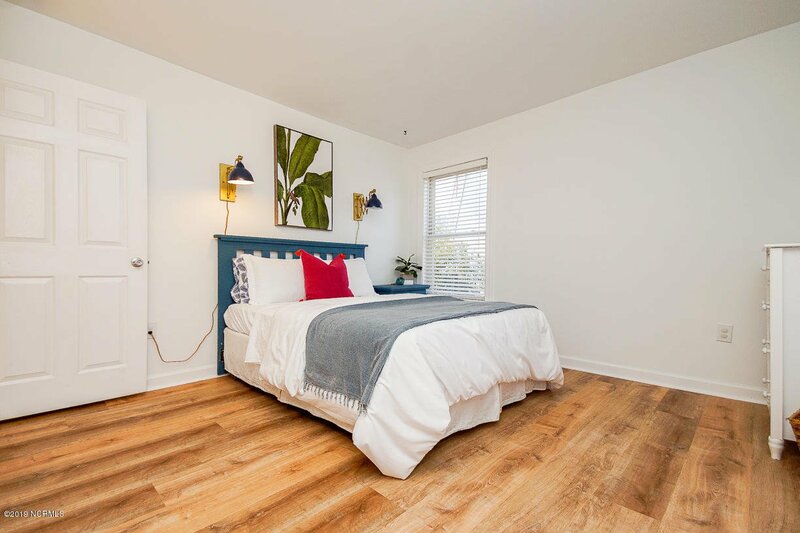 Step into this beautifully remodeled third row beach house and instantly fall in love! 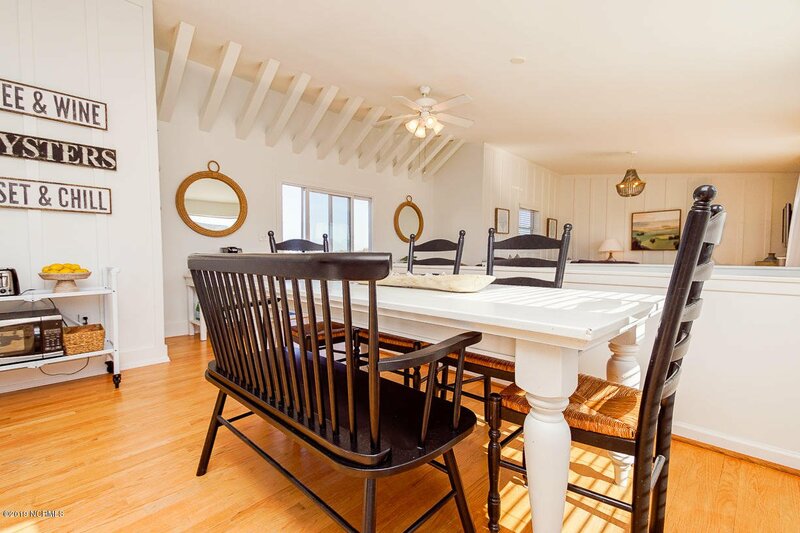 Fully furnished and ready for fun family adventures with 4 bedrooms and 2 baths within an inverted floor plan for prized ocean views. 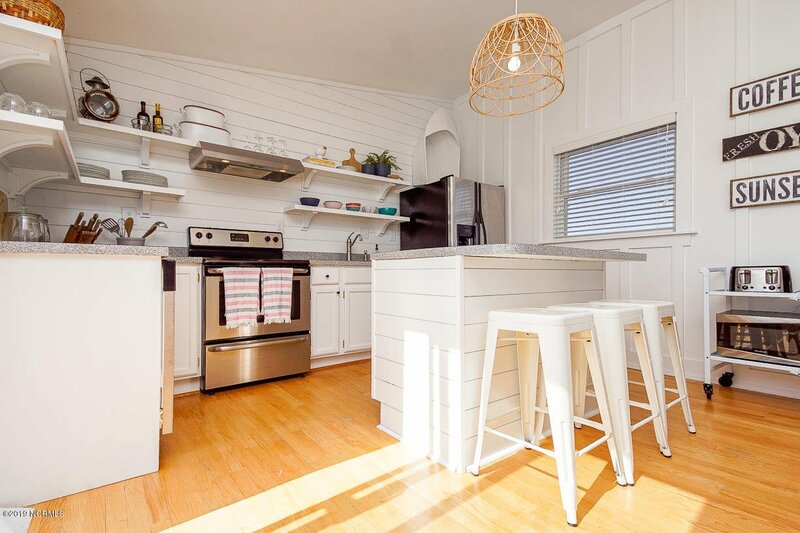 Coastal grays and shell white trim enhance a delightful interior space embellished with eye-catching board and batten in the family room and hip open shelving in the kitchen. 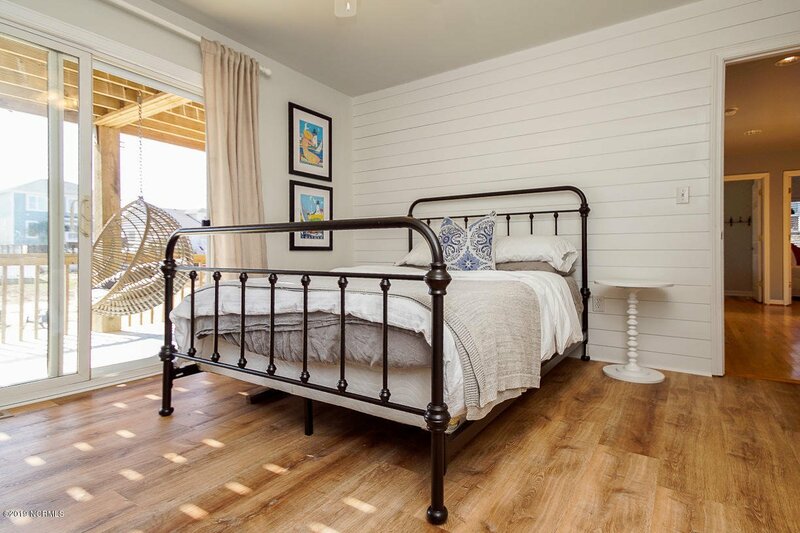 Pleasant and playful design features compliment cleverly chosen furniture pieces from bottom to top, including unique light fixtures, rope wrapped mirrors and charming shiplap. 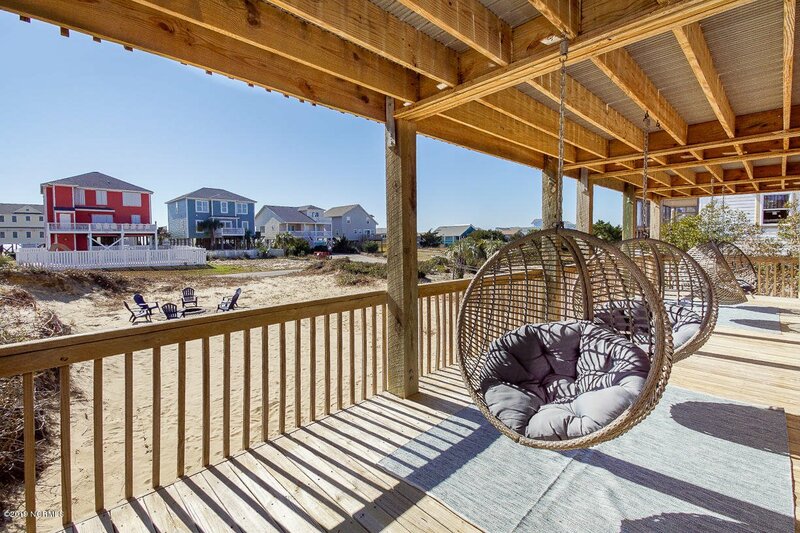 An upper deck holds comfortable dining furniture while a row of whimsical hanging basket chairs twirl below. 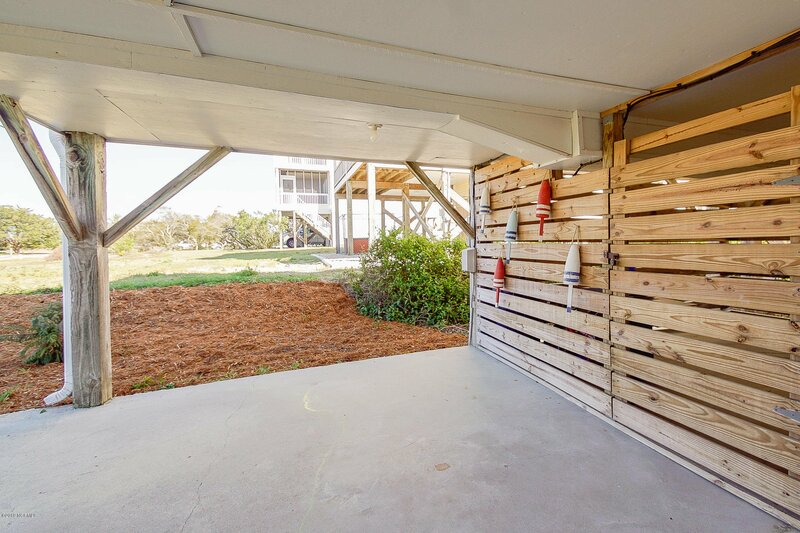 An oversized lot allows room for horseshoes and a path to the beach that's only a 2-minute walk! 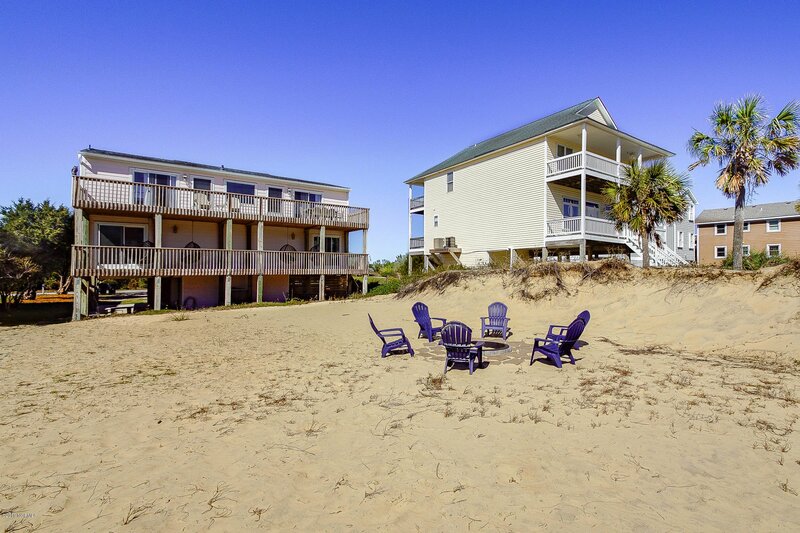 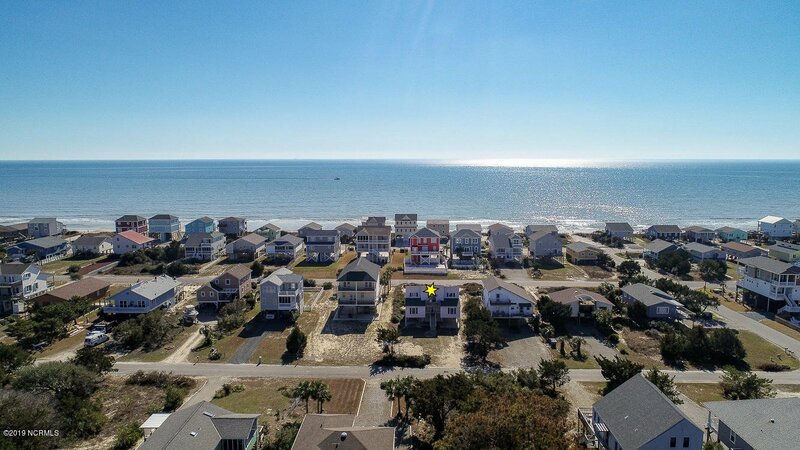 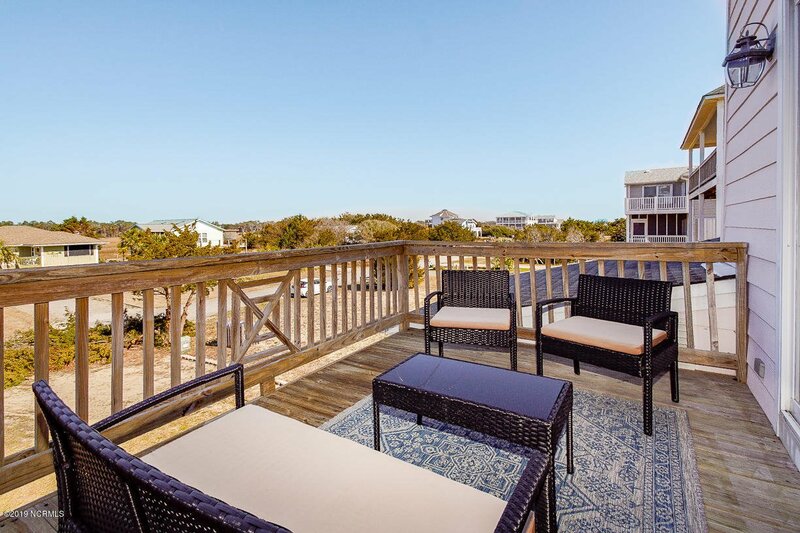 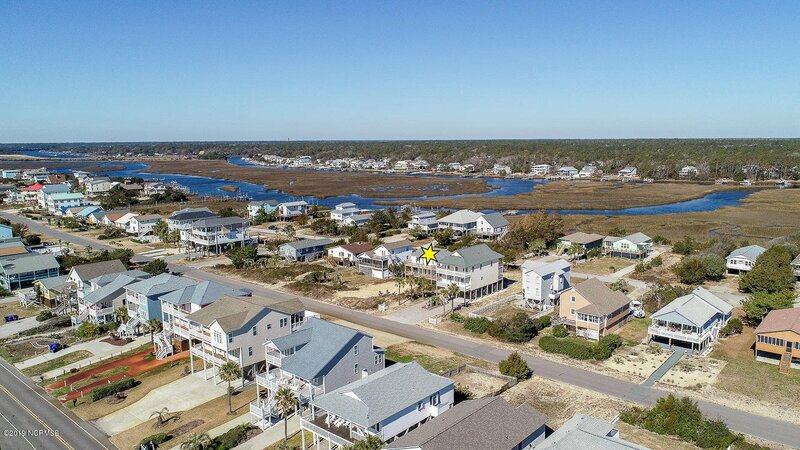 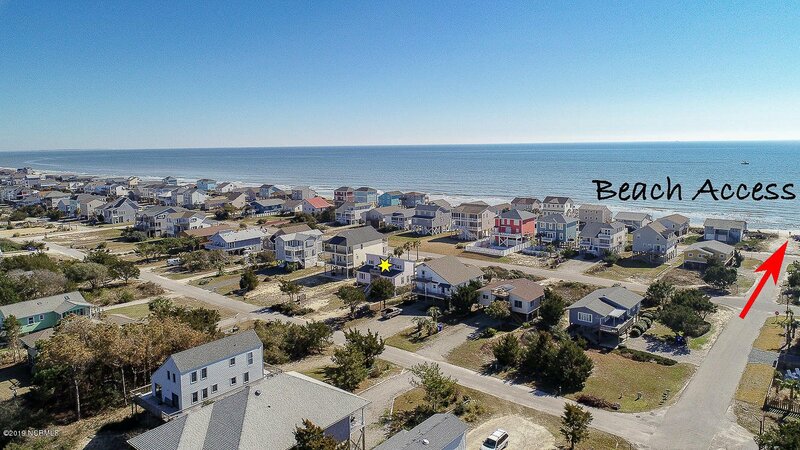 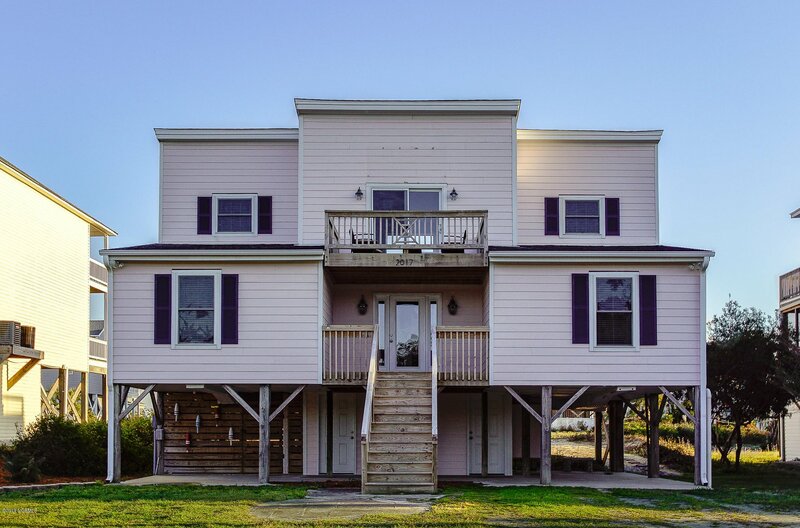 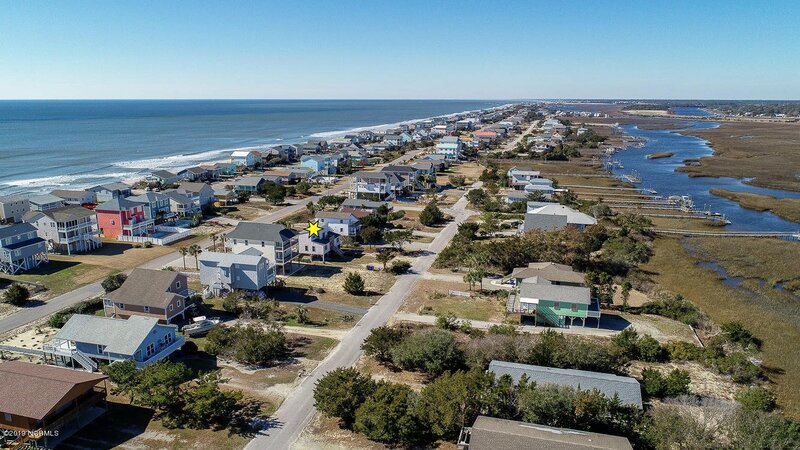 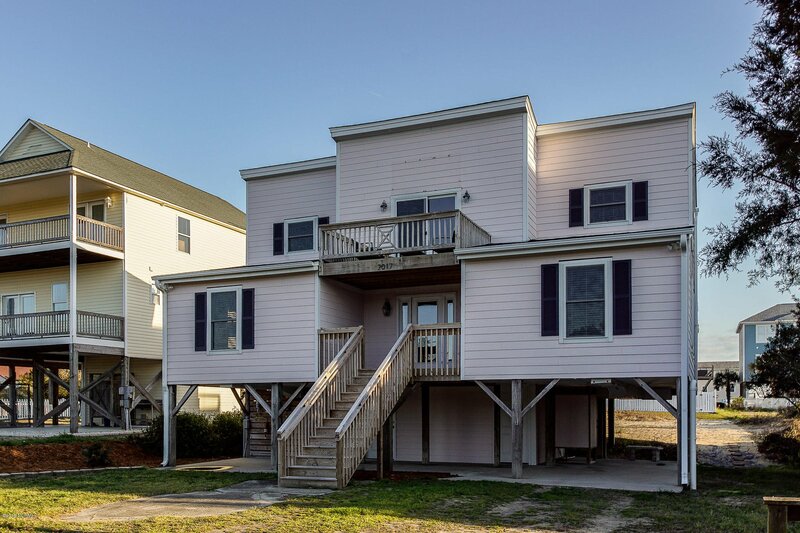 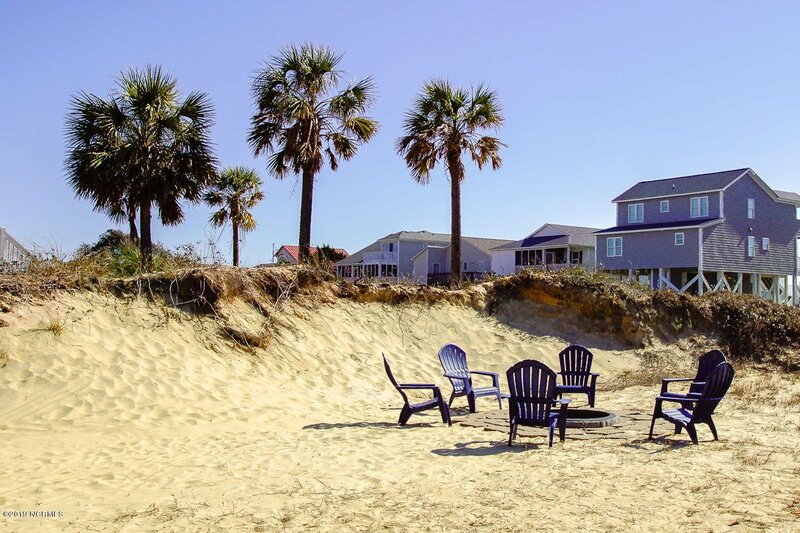 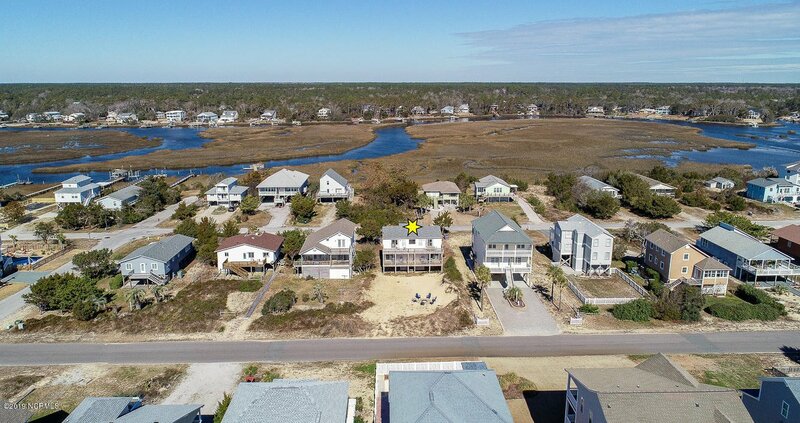 Listing courtesy of Re/Max At The Beach / Oak Island.